There is a lot of misinformation regarding the need for corporate wellness certifications. For the most part, the worksite wellness industry is not regulated even though there are a few federal and state laws to guide how programs are conducted. Wellness certifications are an attempt to self-regulate the industry so that employees get access to well-designed and well-run wellness programs. To help you navigate all of the benefits and pitfalls of wellness certifications, WellSteps has created this comprehensive guide to everything you need to know about corporate and worksite wellness certifications. 1) What is a wellness certification and what are the main types of certifications that are available? There are three types of wellness certifications that are commonly found in corporate wellness programs. These include wellness program certifications, health coach certifications, and fitness/personal training certifications. Wellness Program Certifications are available to individuals who will be planning, managing, and directing the day-to-day activities of a worksite wellness program. These include several levels of training from wellness assistants and wellness staff on one end to wellness program mangers and directors on the other end of the spectrum. In small to medium-sized worksites, it is common for the benefits or HR department to be given the responsibility of administering a wellness program. Typically these programs are organized by benefits specialists or HR specialists who have little to no training in worksite wellness. For these individuals, simple one to two day wellness certification courses are available to give them the basic competency to get their program up and running. Other wellness certifications are more extensive and are designed to train people to actually be a wellness coordinator or wellness program director. 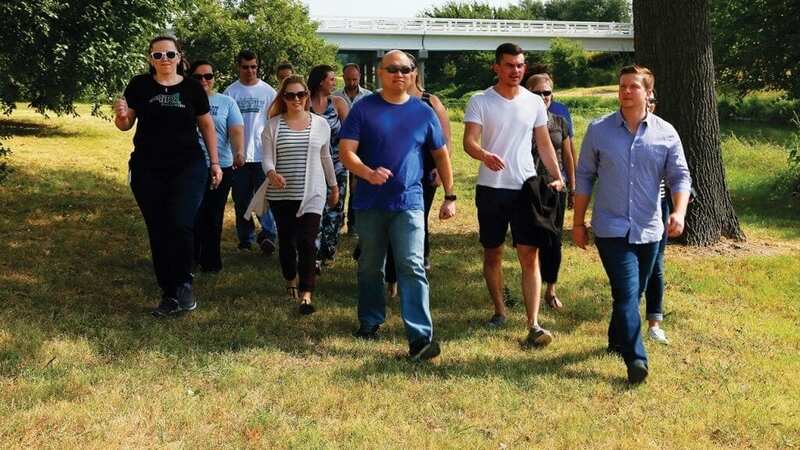 Most of the high-level wellness positions are being filled by employees who have undergraduate or graduate college wellness degrees as part of their academic preparation. Typically these individuals are full-time wellness professionals that have established a career in the provision of wellness services. 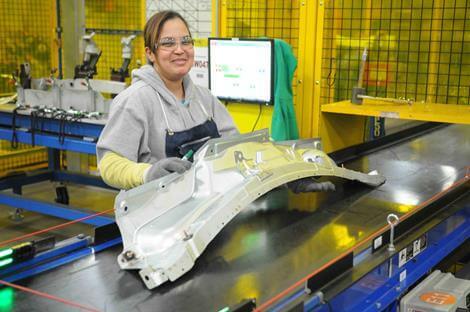 These jobs typically pay well and provide solid employment. Health Coach Certifications are often required for individuals who are providing one-on-one health coaching. The certifications are relatively easy to acquire in a short amount of time and give employers the assurance that the health coach knows how to provide effective behavior change counseling and safe and effective health advice. There are many companies that provide health coaching certifications. Typically salary ranges for health coaches tend to be on the lower end of the pay scale. Fitness/Personal Training Certifications are available for those individuals who are working one-on-one or in small groups to provide fitness and exercise training. Most people are familiar with the type of work that is completed by personal trainers. Just like health coaching certifications, the certification process can be completed relatively quickly. This also means that more people can get these certifications making it much easier to find and hire individuals to be personal trainers. Personal training, like health coaching tends to be on the low end of the pay scale. 2) Are certifications required to work in the wellness industry? The answer to this question is yes and no, depending upon the type of certification you want to get. Getting any of these certifications is only going to make you more qualified and better at doing your job—but a certification probably won’t make any difference in whether or not you get the job in the first place. I have been in the wellness industry for over 30 years. As the CEO of WellSteps, I have worked with thousands of worksites to design, manage and administer effective wellness programs. WellSteps also has some amazing employees. In my experience, it is extremely rare for any WellSteps customer to ask about the wellness certifications possessed by our employees. Either they don’t ask because they don’t know about them or they don’t ask because they really don’t care. Either way, they are not asking! There is one exception to this. Employers want to know that health coaches (or personal trainers) are going to be professional, effective, and safe. Anyone can call themselves a health coach or a personal trainer, so having a certification can make a difference. Having a health coach certification or personal training certification at least provides some evidence that you know what you are doing. More importantly, it lets the employer know that you won’t be suggesting that employees do some unsafe, or unproven health practice. With the 1,000’s of clients WellSteps has worked with, we have never been asked about our wellness program certifications and only a few have asked about health coaching certifications and personal training certifications. Getting any wellness certification certainly will not hurt your job prospects, but it many cases it may make no difference. Actual wellness job experience is always the most important qualification. You can also read a recent post on the 3 best ideas and tips to get a wellness job. I’m sure that the companies that make a living providing wellness certifications don’t like what I have to say about this, but this is the reality of our profession today. The truth is that more and more wellness professionals have college degrees in health and wellness. A college degree has way more clout than a certificate. More on this later. 3) If they are not required, then why get a wellness certification? Wellness certifications, health coaching certifications, and personal training certifications will only help you to be better qualified to work in the wellness industry. These certifications can help in several ways even though they may not always be required for your job. Certifications can give you a certain level of credibility and hopefully some competency. Certifications can teach you evidence-based best practices that are driven by solid science. This will ensure that you only give safe and effective counseling and guidance. Certifications will teach you to not use unproven or untested alternative health ideas with your clients. Some certifications will help you understand how to help employees adopt and maintain healthy behaviors and behavior change is the key to wellness. If you’re in the job market and you want to add a little flair to your resume, some of the certifications are relatively inexpensive and will provide a nice addition to your job qualifications. At a minimum you should complete CPR and AED certifications. You can get these skills from an organization like the American Heart Association for less than $50. 4) How much does it cost to complete a wellness certification? The answer to this question depends upon the type of certification you want to complete. If you are an HR professional and you are responsible for your company’s wellness program, you can complete some basic wellness certifications for under $400. More comprehensive training can cost up to $900 per level of training. The cost of health coaching certifications ranges from just under $500 to up to $2000. Personal training certifications can be acquired for between $400 and $700. As I mentioned previously, the wellness industry and the wellness certification industry is not regulated. That means you need to be careful about which certifications you choose and how much you pay. Unfortunately there are some dishonest companies that provide certifications that are nothing more than certification mills. The main goal of these companies is to make as much money as possible by doing a poor job of educating participants and handing out certifications that mean little. Keep reading and I’ll give you some specific recommendations on the certification companies that have been verified as reputable. 5) How long does it take to get a corporate wellness certification? The amount of time required to complete the different certifications varies dramatically. WELCOA provides basic wellness certifications that can be completed in just a few hours or days. Some personal training certifications can take 3 to 4 months. It all depends on the type and level of certification you are trying to acquire. Most certifications can be completed online, in person at intensive all-day workshops, or through books and printed materials. Most require you to pass a competency examination. Wellness certification companies go to great lengths to work with your schedule and study preferences. 6) Should I consider getting a college degree in health promotion and wellness? I do not consider college degrees in health and wellness to be the same as certifications but I feel that I should mention them here. Anyone who has a bachelors degree or masters degree in worksite wellness or worksite health promotion programs has had a very deep and broad exposure to wellness programs. The 4 to 6 years of intensive coursework is far more valuable and impactful than any certification could ever be. The problem is that it takes 4 to 6 years and a whole bunch of money to reach this level of proficiency. At WellSteps, we only hire individuals who have wellness or health promotion academic degrees. Many universities now offer 4 year degrees in health and wellness and here is a list of universities that offer online degrees in health and wellness. In addition to personal training, health coaching, and running, designing, and managing wellness programs, WellSteps employees wear multiple hats and have very broad job descriptions. A college degree in health and wellness is required if they are to be successful in these particular jobs. 7) Is there a list of organizations that offer employee wellness certifications? And how do I know if I can trust them? You have come to the right place. My WellSteps team and I have identified all of the wellness certification companies and classified them into three categories: wellness certifications, health coaching certifications, and personal training certifications. In the tables below we have summarized what each of them does. But more importantly I have verified the wellness certifications that are recommended with this symbol. If they have a lengthy history and are reputable, they can be trusted to provide you with a quality training experience. This doesn’t mean that they are the only trusted wellness certification companies on this list, but they are the ones with which I am intimately familiar. Some of the others in this list may also be very good but I am not familiar enough with them to give them my seal of approval. The National Wellness Institute was started in 1977. The purpose of its formation was to allow health and wellness professionals to have access to the best educational resources available. That way, these professionals would be able to grow in both their business and personal lives. Any organization which is involved in the wellness industry can access to these resources. The National Wellness Institute believes learning never ends because there are always new developments and programs in this field all the time. Professionals are encouraged to utilize the institute’s resources so that they can receive a continuing education that will sustain their success. The Wellness Council of America, also known as WELCOA, is a nationally recognized organization for providing resources which promote better health and productivity in any work environment. WELCOA has been around for nearly 3 decades now and they’ve accumulated over 5,000 professional members. Their philosophy is that if you have a healthier work culture that enhances the wellness of the employees, then they will do a better job in the organization. Meanwhile, the employer health care costs will decrease because their employees are healthier. WELCOA provides training programs to wellness professionals in the workplace. Once these professionals gain the necessary knowledge about wellness in the work environment, they can teach it to their employees and help make America healthier as a whole. The Chapman Institute was founded by Larry S. Chapman MPH, a 40+ year veteran in the worksite wellness field. The Institute is the oldest and largest provider of certification for worksite wellness professionals through their WellCert program. They offer 4 levels of progressive certification starting with their Level 1 – Certified Wellness Program Coordinator (CWPC) course. Each of the 4 certification courses usually takes 25 – 30 hours to complete and are available online, in live webinars and in-person around the country. More than 5,000 individuals have completed one or more levels of certification. The training uses case studies and is skill based. 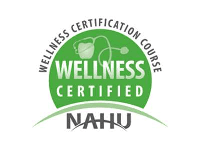 Many of the major health insurers require this certification for wellness staff. 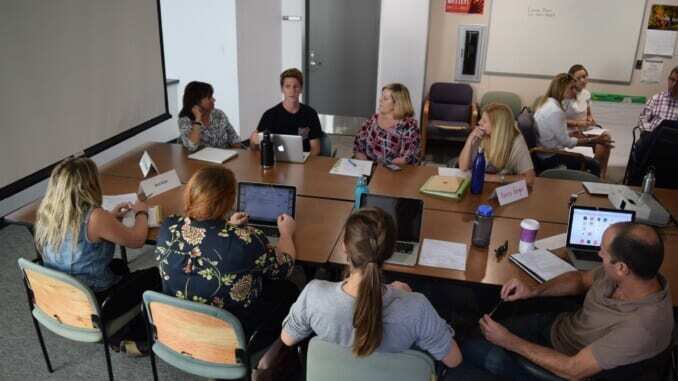 The American College of Healthcare Sciences offers a CERT wellness consulting certificate program which teaches students about how to incorporate wellness ethics into the workplace and how to teach others about various holistic health practices. There are many modalities associated with holistic medicine. This certification program will educate students on a wide variety of these modalities. When the course is completed, and the certificate is awarded, you will have a basic understanding of pathophysiology and how various diseases cause biochemical and mechanical changes in the body. Since the program is taught at an actual college, students will receive college credits for each class that they pass. There is a total of 16 credits which can be earned. The International Association for Worksite Health Promotion is an affiliated society of the prestigious American College of Sports Medicine. IAWHP has a mission to provide valuable information and services to health and wellness practitioners in the workplace. This is achieved through educational activities as well as networking with other professionals in the field. The IAWHP Online Certificate Course teaches students the best ways to create worksite health programs which are scalable and maintainable. This is a very interactive course which includes real-world activities and audio presentations. If you successfully pass the course and receive your certificate, you will be qualified to train employees on how to stay healthy. In fact, you can create an entire work culture which supports the idea of a healthy workplace. This will increase overall productivity in the organization while reducing unnecessary expenses over wasted time or poor work performance. American Fitness Professionals & Associates has already provided education and issued certifications to more than 110,000 wellness professionals. These include everyone from nutritionists to certified personal trainers from around the world. Once you become a certified member, you receive free professional support for as long as you remain certified. AFPA has more than 25 certification programs available in various fields of the health and fitness industry. Some of which include certifications in yoga instruction, youth fitness, weight loss, nutrition, fitness training, senior fitness and more. If that isn’t impressive enough, they are one of the few certification providers that are actually accredited. Various AFPA programs have the approval of the American Association of Drugless Practitioners, the American Naturopathic Medical Accreditation Board, National Association of Nutrition Professionals, and others. The National Association of Health Underwriters has designed a wellness certification course which focuses around controlling the unhealthy behaviors of employees in the workplace. The three main unhealthy behaviors which are changeable include lack of smoking, too much eating, and lack of physical activity. The NAHU wellness certification course will train employers on how to control these behaviors in the workplace so that their employees can be healthier, and the cost of their healthcare can go down. NAHU’s objective is to make health insurance coverage more affordable for individuals and businesses, no matter how big or small. Precision Nutrition is an organization that was co-founded by a man named Dr. John Berardi. He created a team of health and wellness coaches who have educated more than 100,000 clients from over 100 nations around the world. The team has been doing this for more than 15 years now. Some of the biggest companies on the globe have sought their advice and counseling about enhancing the health and wellness of their employees. Now, they are offering a free course which is described as offering “elite nutrition coaching.” In other words, students will be coached on the proper lifestyle and nutritional changes to make so that better health results can be achieved. The company’s students consist of professionals in the wellness, health, and fitness industries. The education received from this course will help them train their own clients, whether they’re in the workplace or in private life. Duke Integrative Medicine offers an Integrative Health Coach Training program which is designed to help individual people become healthier by transforming their unhealthy behaviors into healthy ones. The program has years of medical research and clinical expertise poured into it. Students will receive training through both an instructor and an online curriculum. This gives them a chance to take the courses at convenient times while still having the opportunity to receive hands-on training in the field. That way, after they graduate from the program, they will have the necessary skills to provide group coaching and individual coaching. The Health Coach Institute has a Health Coach program where they will train students to become a professional health coach in just 6 months. In fact, the International Coach Federation has accredited their continuing coach education courses. 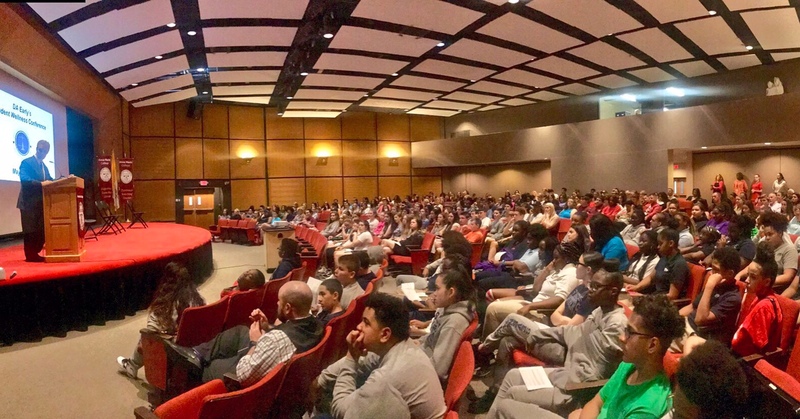 From this program, students will learn about all areas of nutrition and how to help people change their lifestyle habits so that they are healthier and long lasting. The program was created by some of the most reputable doctors and coaching experts in the health coaching industry. Once you graduate, you will be able to coach your own clients and assist them in their healthy lifestyle goals. Many graduates of this program go on to earn anywhere from $5,000 to $10,000 monthly as a certified health coach. 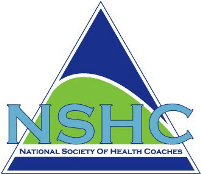 The National Society of Health Coaches has created health coach certification programs which use an evidence-based clinical model for coaching students about health. In the United States, these programs are ranked as being some of the most popular programs taught to coaching students. What makes them different are the fact that they were created by other healthcare providers and clinicians. The students who generally enroll in these programs are clinicians themselves. They study a particular program which relates to their own experiences and knowledge of a clinical setting. By learning new skills and information from other clinicians, it helps the students become better clinicians themselves in the field of health coaching. That way, they can apply evidence-based practices while coaching their own clients rather than just theoretical practices. The Spencer Institute offers a Corporate Wellness Coaching Program which will allow you to ea rn your Corporate Wellness Coach Certification. Anyone who wants to become a Corporate Wellness Coach should get this certification because it shows companies that you are knowledgeable in the field of corporate wellness. They will actually hire you to create health and wellness programs for their employees to participate in so that they can become healthier in the workplace. The Spencer Institute offers this program completely online, so you can take the courses from any location that has an internet connection. As for accreditation, the American Association of Drugless Practitioners has accredited the Spencer Institute and its wellness coaching programs. The Dr. Sears Wellness Institute was started by Dr. Bill Sears. He has been a medical practition er for more than 4 decades and has written over 40 books on wellness and nutrition topics. The objective of the Dr. Sears Wellness Institute is to train organizations and people in the 4 main principles of health; Nutrition, Attitude, Exercise, and Lifestyle. They will also provide resources to assist them in performing these principles successfully. To receive this education, you can become a student of their Health Coach Certification program. Once you graduate, you will be a Certified Health Coach that has the qualifications to teach companies, employees, and individuals about how to improve their physical and mental health. The Wellcoaches School of Coaching has provided education, training, resources, and certifications to student coaches for 16 years. The program is designed to give wellness professionals a chance to become a Certified Wellcoach. This certification will indicate to clients and employers that you have the training necessary to help people change their behaviors so that they can live healthier lifestyles on their own. Not only does this help people have more energy and be more productive in their lives, it also prevents them from obtaining diseases too. 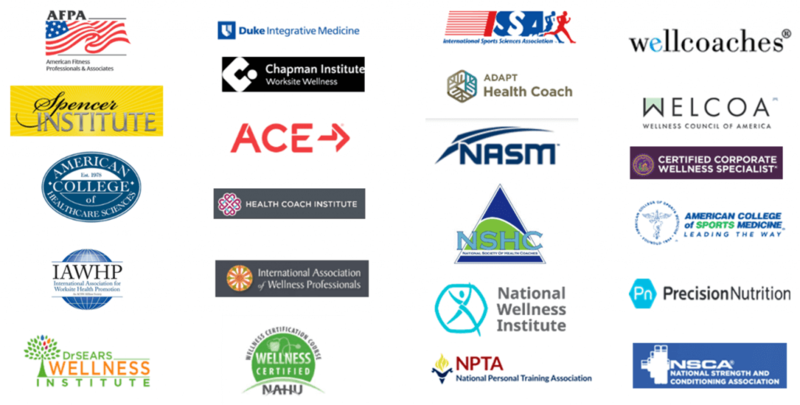 The training programs of the Wellcoaches School are approved by the American College of Lifestyle Medicine and the American College of Sports Medicine. Adapt Health Coach offers a training and certification program which gives people the education and skills they need to start a health coaching career. More importantly, the graduates will have a chance to make a difference in other people’s lives and throughout the rest of the world. They can teach people about disease prevention and how it relates to a healthy lifestyle. The Adapt Health Coach Training & Certification Program is administered by the Kresser Institute. The founder of this institute is Chris Kresser, who is a clinician and expert of Functional Medicine and the co-director of the Center for Functional Medicine in California. The International Association of Wellness Professionals offers a Wellness Coach Certification program that is 100% available online. Most students will complete the program in just 6 months. There are 14 different modules to get through in the program. Students receive a comprehensive education in all the important areas of health and wellness, including business, wellness, and coaching. The modules of the curriculum include lessons on natural healing, holistic health, wellness, and nutrition. Most importantly, students learn the best coaching method for teaching and transforming other people’s lives into healthy lives. Since students also learn this information for career purposes, the program also dives into business training in the field of health and wellness coaching too. The American Council on Exercise, also known as ACE, offers a Certified Personal Trainer program to students who want to work as personal trainers and have a direct impact on changing people’s lives for the better. 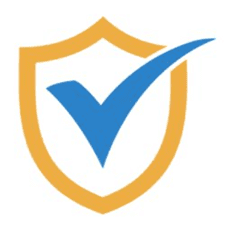 The National Commission for Certifying Agencies has accredited this certification program, which is a reputable accrediting agency. The ACE Integrated Fitness Training Model is the foundation in which this certification program was built on. Students can study the material at home and receive guidance from the professional study coaches if they have any questions. There are three personal trainer study options to choose from; Pro Essentials, Pro Plus, and Pro Advantage. The National Strength and Conditioning Association has dedicated itself to educating health professionals that specialize in the field of strength and conditioning. These types of professionals offer services where they help other people learn just how strong they really are. NSCA offers four specific types of certification programs for current and aspiring health professionals. The first, of course, is the Certified Strength and Conditioning Specialist program. The other programs available are Certified Special Population Specialist, NSCA Certified Personal Trainer, and Tactical Strength and Conditioning Facilitator. The latter is for professionals that want to train law enforcement and military personnel in the field of strength and conditioning. The National Academy of Sports Medicine has been around for nearly 30 years. They are an o rganization known all around the world for their work in scientifically educating personal trainers and offering them accredited Certified Personal Training courses. The Optimum Performance Training model was used to develop these courses. This is a model which has had lots of evidence and scientific-based research go into it. Anyone who studies personal training through this program will have the ability and skill to train other people and help them reach their fitness goals. Whether you are new to the field of sports medicine or an experienced veteran in th e profession, by choosing ACSM you’re on your way to earning one of the most highly recognized certifications in the industry—a credential that is known as the Gold Standard around the world. Whether your goal is to train one-on-one or to instruct groups, those who are certified are able to develop and implement safe, effective exercise programs, and modify them to meet the specific needs of clients. In choosing ACSM you’ve made the commitment to establish yourself as a reputable fitness professional. The National Personal Training Association‘s goal is to help those seeking their Certified Per sonal Trainer credentials, as well as other fitness certifications, to achieve credentials in their specific niche in a streamlined and convenient fashion. At the National Personal Training Association we believe in providing the very best in test preparation, assessment testing and customer service. We offer our customers a 100% money back guarantee if our program is not accepted by their employer. Since our programs are not accredited, this peace of mind goes a long way. Through our 100% online exams, you can achieve certification in a streamlined fashion and never even set foot in a classroom. The International Sports Sciences Association is designed to equip graduates with the practical day-t o-day skills necessary, as well as the theoretical knowledge needed to excel as a personal trainer serving the general public. Along with the necessary exercise science foundation, the distance education program covers client assessment, program design, basic nutrition, and sports medicine along with business and marketing skills. Get everything you need to know to become a great personal trainer in an easy-to-follow 10-week guided-study program with unlimited support from your own student success team. 8) Where else can I find information to help me be more qualified as a wellness professional? Here is a list of wellness associations. These groups have annual conferences and workshops that are outstanding opportunities to learn wellness best practices and network with other wellness professionals. If you are looking to work in the wellness industry I highly recommend you attend one. Some of the best wellness information and practices can be found in this blog. This article you are reading right now is part of the WellSteps Worksite Wellness blog series which contains the most current and real-world practices in wellness. These blog articles are required reading for all WellSteps employees. If you don’t have the time or money for a wellness certification but still want to know everything to be a qualified wellness expert I suggest you review these blogs. They are free and when you are done, you’ll have consumed a semester’s worth of wellness best practices. Here are many of the blogs in a book format. Working in the wellness industry is fun and very rewarding. Where else can you work and spend your time helping whole bunch of people live long, healthy lives? Corporate wellness certifications can give your career a boost and the extra training and information you need to be an outstanding wellness professional.